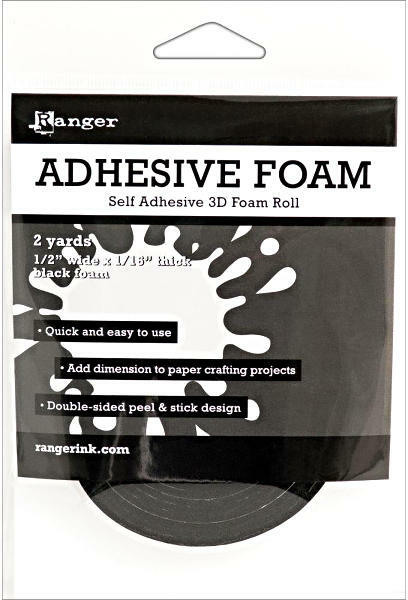 Add dimension to your craft projects and make them “pop” using the convenient peel and stick 3D Foam Roll from Ranger. Using this type of adhesive means no messy glues or drying time needed. Adhesive Foam has a high tack adhesive and can be easily embellished with foil, glitter, micro beads and more. It quickly bonds paper, cardstock, chipboard, wood, glass, metals and acrylic.